When the Timberland yellow boot was first introduced in 1973, no one imagined that it would become a classic. But 45 years later, the rugged boot characterized by a thick lug sole and a premium full-grain yellow nubuck upper is more than a classic. It’s an icon. 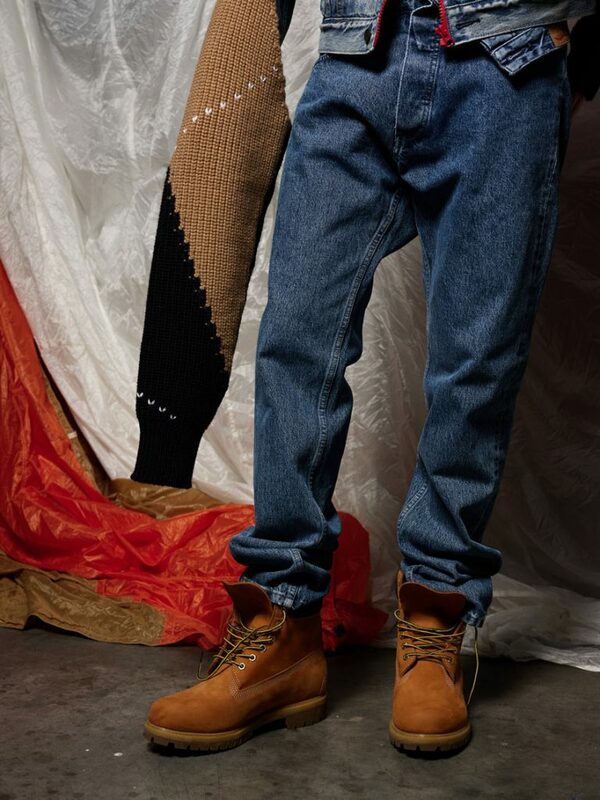 To celebrate the 45th anniversary of the iconic Timberland boots, the brand asked Enfnts Terribles magazine to translate the modern day aesthetic of the yellow boot in an editorial. So, we teamed up with The Outkasters – a collective of creatives from Brussels – to shoot the infamous boots in a high end way. Since its introduction in 1973, the yellow boot’s initial appeal was thanks to its pioneering waterproof construction. Although it started as a workwear thing, the outdoor boot would quickly break barriers, appealing to Italian scenesters and hip hop moguls alike. The transition from workwear to fashion statement in the late 1970s was nearly seamless. At the time, they were sold at high-end stores like Saks Fifth Avenue and Bloomingdale’s, shaking up the boot’s image. 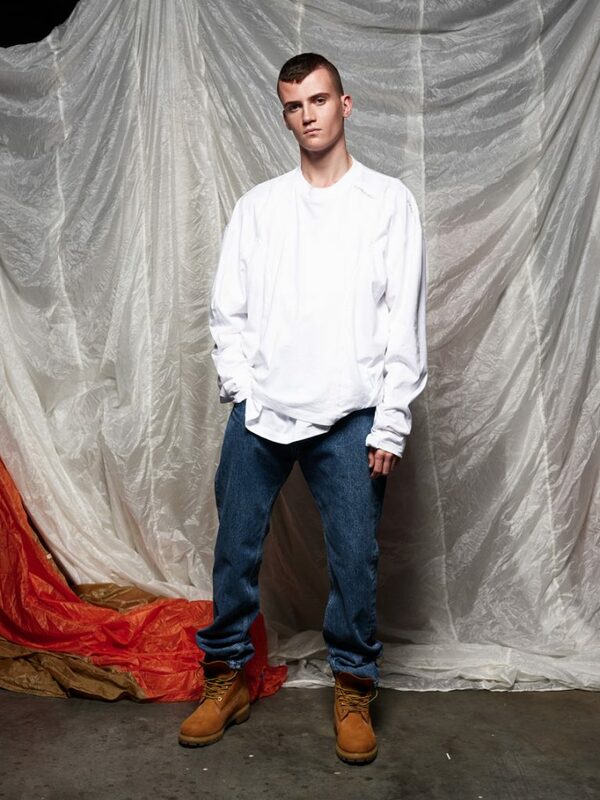 Y/Project long sleeve T-shirt and jeans. In the ’80s, the boot was being embraced by the hip “Paninaro” kids of Milan. The hip-hop artists of 1990s New York soon followed, and wore the boots as a symbol of their individuality and thumb-nosing attitude toward socially established norms. 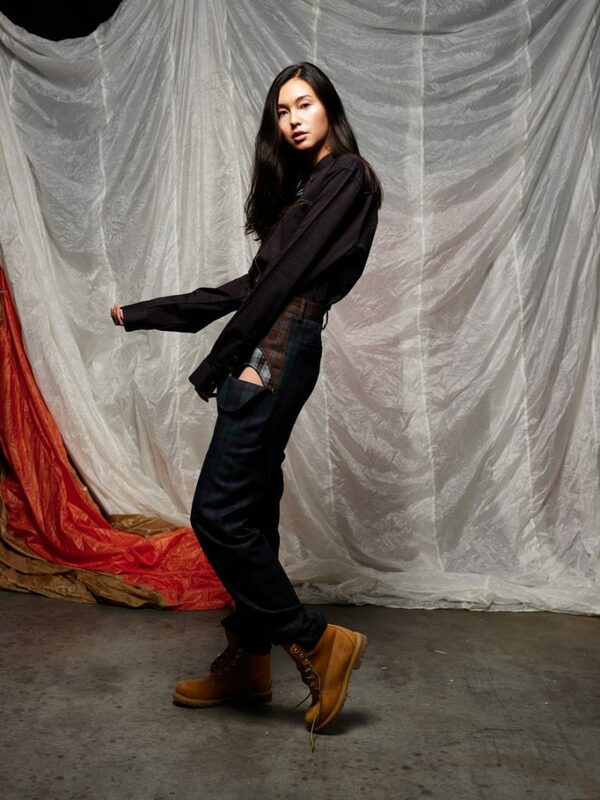 Since then, Timberland has partnered with a number of renowned brands like Opening Ceremony and Tommy, to introduce limited edition styles, and celebrities like Pharrell Williams, Nas and Va$ti Kola count the yellow boot among their first and most influential stylistic coups. To celebrate the rich history, Timberland reimagined the iconic boots with sapphire highlights — a symbol of their 45th anniversary. 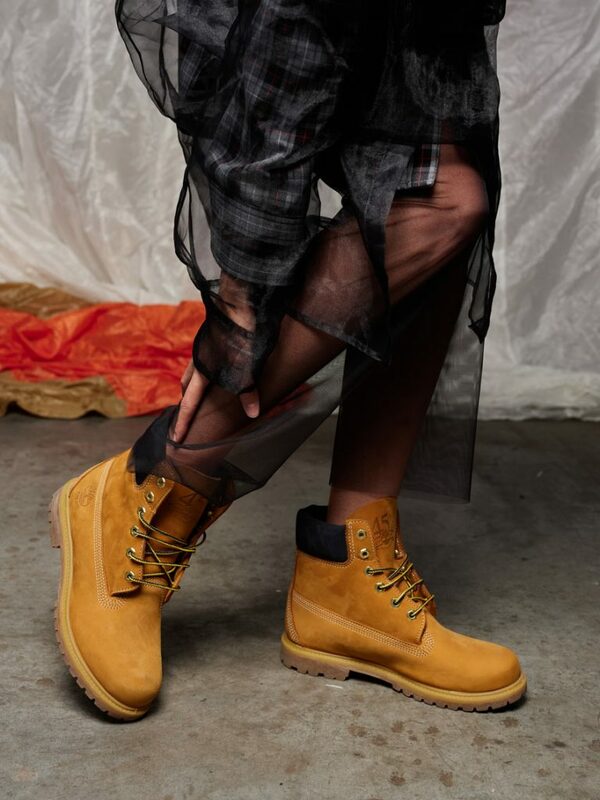 It’s with those sapphire edition boots that we shot a modern day editorial with the 45-year-old Timberland boot. Jarne is wearing: Levi's top. Nicolas Lecourt gloves. Y/Project jeans. Anaïs is wearing: Y/Project turtle neck. 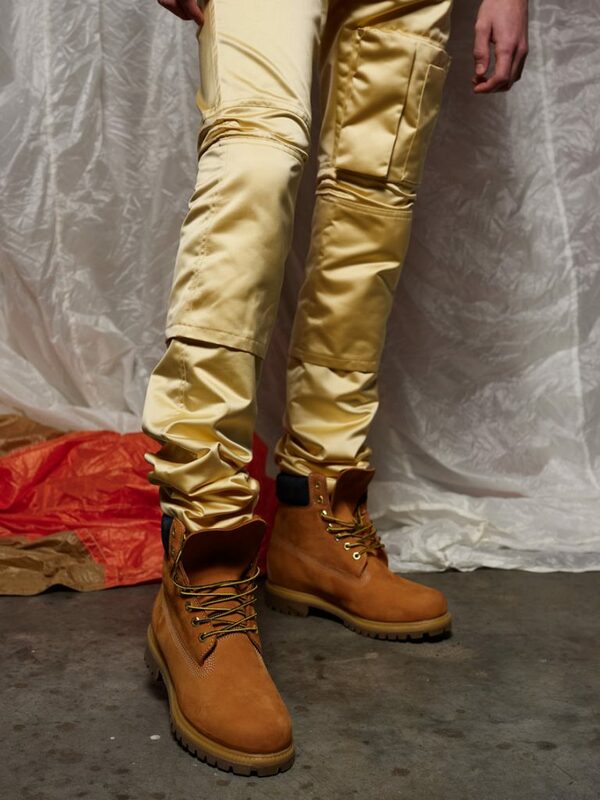 Anthony Morato leather pants. Riot Antwerp shirt. Raf Simons Trousers. Nicolas Lecourt dress. Raf Simons sleeves. 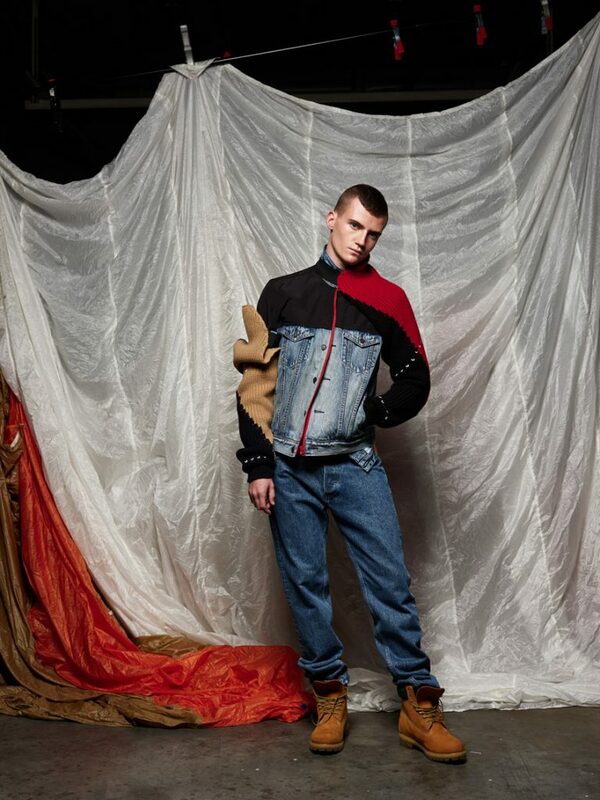 Levi's denim jacket. Raf Simons sleeves. Y/Project jeans. Y/Project shirt dress. Wolford see through trousers. Special thanks to STIJL Brussels for the beautiful clothes.